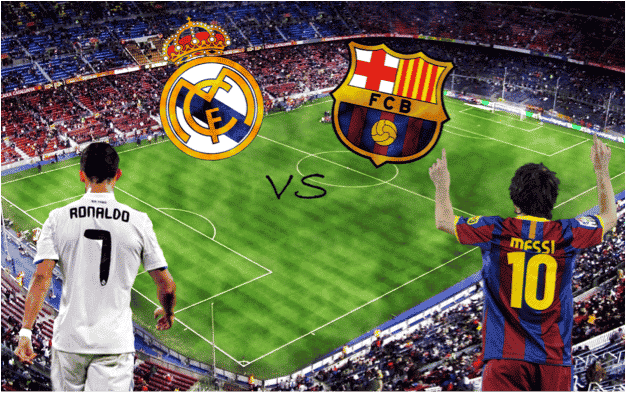 Madrid vs. Barcelona – A rivalry for the ages! The world has seen its fair share of rivalries, and Madrid vs. Barcelona is one of the absolute best. From football matches like El Clasico to intense political struggles between these two proud cities, the competition keeps getting better and the stakes keep getting higher each and every year. In turn, we figured it’d be fun to compare them on categories such as food, nightlife, culture, and much more! Check out our list below and let us know what you think! Across the country, Spanish food in general most certainly lives up to the hype. 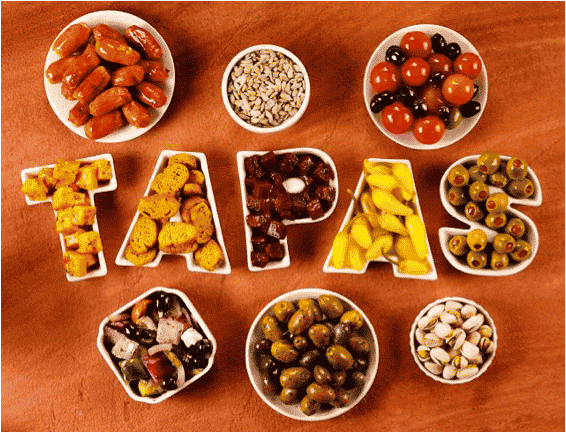 With each region boasting of its homegrown recipes and signature flavours! This is especially true in both Madrid and Barcelona. Wonderful tapas and traditional Spanish cuisine are easy to find in both major cities. 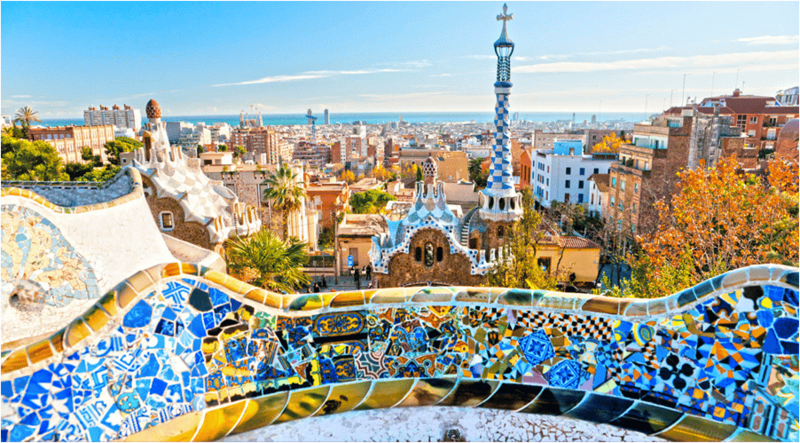 However, being so close to the Mediterranean, the abundance of delicious fresh seafood and the exquisite taste of a classic Catalan paella give Barcelona the edge over Madrid! If your heading the Barca soon, you should check out Bon Appetit’s wonderful list of best places to eat in Barcelona! When there are so many awesome things to do in both Madrid and Barcelona, it’s often easy to forget that you have to pay for it all! Both cities are large cosmopolitan places with a wide range of opportunities both cheap and expensive. With the average cost of renting a 1 bedroom flat in the city centre ranging from 700-900 in both Madrid and Barcelona, the difference really lies in lifestyle. Public transportation is slightly more expensive in Madrid – a difference of 1 or 2 Euros really – But, much cheaper for those under 25 with Madrid’s youth fees. Restaurants are all equally priced so long as you avoid the tourist traps in both cities and the same goes for nightlife – you have your fair share of cheap and expensive places in both cities! Beware though, being a tourist in Barcelona is much more dangerous for your pockets! If it’s money that is your deciding factor on choosing a side there isn’t much of a difference in the cost of living between Madrid and Barcelona. It all depends on your personal preferences and lifestyle! If you’re looking for a more in-depth analysis check out a financial breakdown of 2015 for both Madrid and Barcelona! This is a touchy subjects for sports fans around the world. While it may be true that Madrid hosts an assortment of top-tier professional sports teams in football, basketball, as well as numerous tennis and cycling invitational’s, there is a reason Barcelona was the site for the 1992 Olympics. 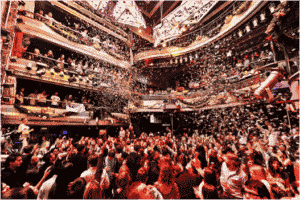 Barcelona is a hotbed for hosting a wide-variety of world class sporting events ranging from football and road running competitions to Formula 1 and MotoGP races. Furthermore, the score of the most recent El Clásico can be considered the final nail in the coffin for this debate. It’s undeniable that Barcelona boasts some of the craziest clubs in all of Spain. 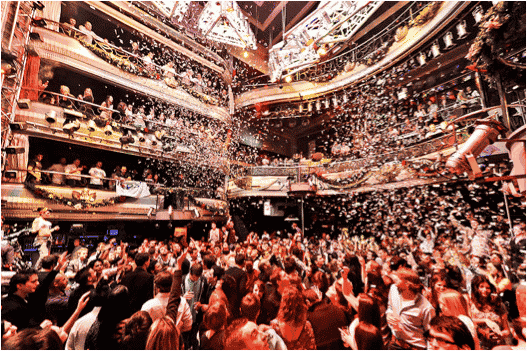 With numerous world-class DJs and performers making Barcelona a frequent stop on their tours and pop up shows, the Catalonian Capital is one hell of a time. However, the Barca club scene can certainly become repetitive. Madrid offers the same types of clubs with Kapital, Joy, among others, but also has one of the coolest bar scenes in the entire world. Every barrio has its own vibe, musical preferences, and entire streets full of different places to have a great time. Madrid hosts one of the largest Pride fesitvals in the world and the party hours are some of the longest in Spain. When it comes to options, energy and pricing, Madrid takes the prize this time! Both cities are relatively easy to navigate compared to other European cities, and both Madrid and Barcelona are quite pedestrian friendly with many walking streets. While Barcelona is a bit easier for cyclists to travel through, Madrid has one of the easiest, most cost effective, and most efficient metro systems in the entire world! 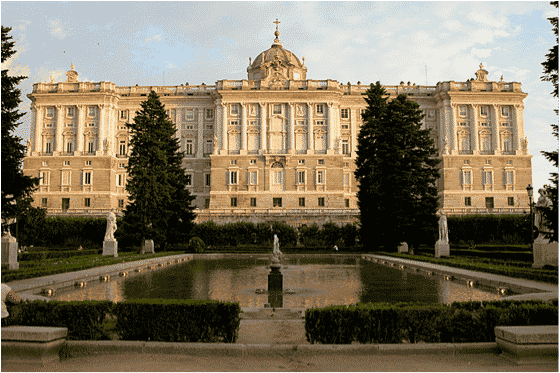 From buses to subways and connecting train systems, getting around in Madrid is by far the best option. Madrid for sure takes this category! Madrid has absolutely beautiful springs and falls with very little rain, as well as gorgeous parks such as Buen Retiro. 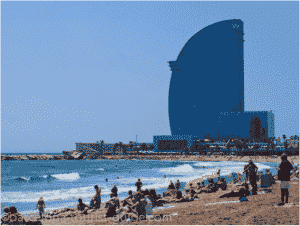 However, Barcelona has a beach, and a stunning one at that. 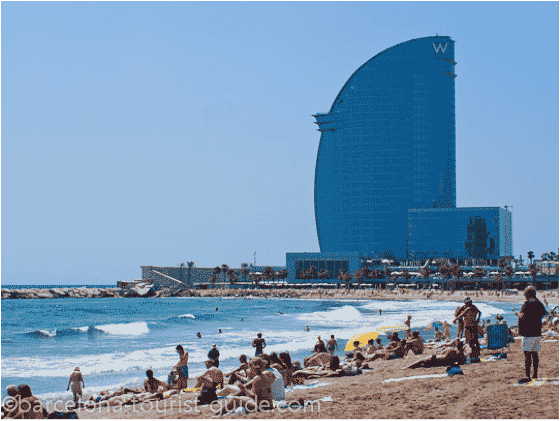 If that isn’t enough to win the debate, Barcelona’s closeness to the Mediterranean also gives it much more mild summers and winters than the Spanish Capital. This one’s no competition here, Barcelona wins by a mile! The culture battle between Madrid and Barcelona is surely heated. On one hand you have a proud, strong, fiery city that hold their Catalan roots very close to their hearts. 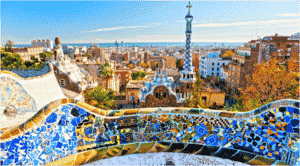 Barcelona is home to gorgeous sites and museums – such as the Picasso museum, the Sagrada Familia and Gaudi’s artwork – reflecting the true beauty of Catalonia. On the other hand you have a capital, cosmopolitan, metropolis that is known as one of the most open, accepting, come as you are cities in the world. 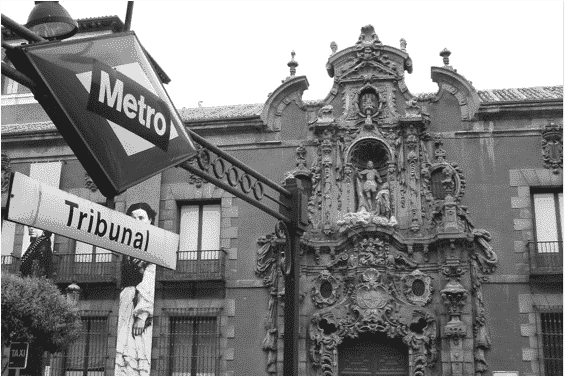 Madrid is covered in art and culture centres and local life can been easily observed from any street. We have to give Madrid this one, simply because it is less driven by tourism than Barcelona. Unless you know a local, it can be difficult to experience the true culture of Barcelona. In Madrid however, it’s much simpler to run into the local life. Madrid’s Gran Via is one of the most stunning streets to walk down. There are also numerous unique and beautiful plazas that are perfect for having a drink and taking in the surrounding architecture. However, the entirety of Barcelona is nothing less than absolutely jaw-dropping. With many beautiful walking streets in the Gothic Quarter as well as the tremendous Gaudi influence, Madrid can’t compete in the aesthetic department. When traveling through Catalonia, it’s important to remember that the official language of the region is not Castellano Spanish (the equivalent to Oxford English for English speakers, and normally the Spanish that is taught in classrooms around the world), but rather Catalan. In turn, it’s much easier to gain real world experience and practice your Spanish in Madrid. Game is the most valuable and important medium that can establish a beautiful relationship between different countries. As you describe in your blog regarding a beautiful relationship between two countries such as Madrid and Barcelona and define a clear visualization about their food, sports, culture, nature and weather and many more. As they both are different with each other and have their own set of features, but still they connect with each other through basketball tournaments and the competition of the game make them very close to each other.